Tamiya 53730 RC GP 20T Racing Pinion Gear 1st Gear. Use in combination with ITEM 53733, 53734, 53735. Allows you to adjust gear ratio to best suit engine and track layout. 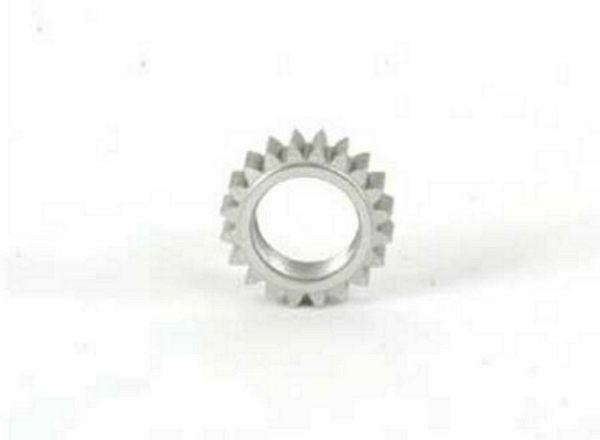 Tamiya 53731 RC GP 21T Racing Pinion Gear 1st Gear. Tamiya 53732 RC GP 22T Racing Pinion Gear 1st Gear. Tamiya 53733 RC GP 24T Racing Pinion Gear 2nd Gear. Tamiya 53734 RC GP 25T Racing Pinion Gear 2nd Gear. Tamiya 53735 RC GP 26T Racing Pinion Gear 2nd Gear.